In 1861, knowing full well we Americans had our hands full fighting ourselves, the clever French made an all-out bid to annihilate the regime of Benito Juárez and claim Mexico, gaining a prized place in North America. 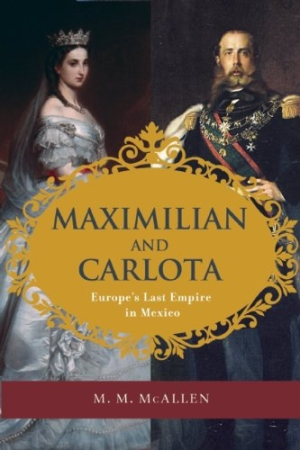 With the 150th anniversary in mind (April 10, 1864), Maximilian and Carlota details Louis Napoléon’s intrepid scheme to install Maximilian von Habsburg and his wife as emperor and empress, but also details the intrigues and incongruities that occurred while nineteenth-century European leaders sought to remake the New World in their vision. Not long did this particular episode last: Max was executed by a Juárez firing squad in 1867.